Stay in contact and get informed about new content of “Andreas Schröder – Maritime Photography and more”. Now available for most common plattforms IOS & Android. 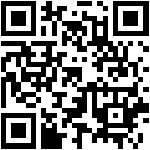 Please use QR-Code for Google Play Store or Apple App Store. Otherwise you can search for App-Name “andreaskiel”. Use FB-Connect within the app to interact like you are directly on Facebook. If the app is not available in your country store please give me a short feedback.